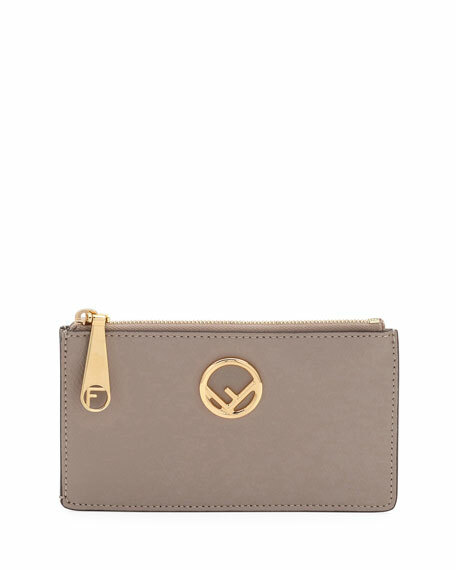 Fendi calf leather pouch bag with golden hardware. Cutout "F" logo at center front. Five card slots at back. 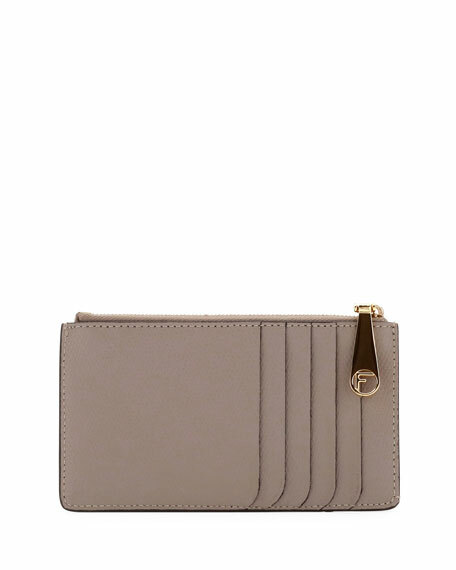 3.1"H x 5.3"W x 0.2"D.
Bottega Veneta small bi-fold wallet in signature intrecciato woven lambskin. Brunito-brass hardware. Flap snap closure. One bill slot, multiple card slots. 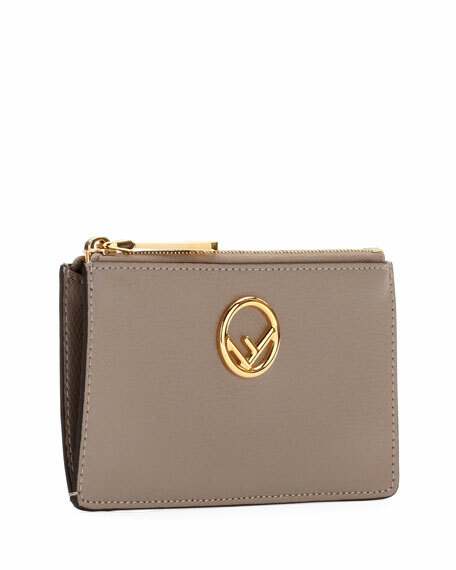 Exterior zip-around coin purse. Suede lining. Approx. 4.25"H x 3.5"W x 0.8"D. Weighs 3.2 oz. Made in Italy of Spanish material. Fendi shoulder bag in colorblock woven tartan leather. Sliding chain shoulder strap loops through logo rings. Flap top with cutout "F" medallion; push-lock closure. Exterior, flap pocket at back. Divided interior; multiple pockets. 5.9"H x 7.5"W x 3.5"D. "Kan I" is made in Italy.